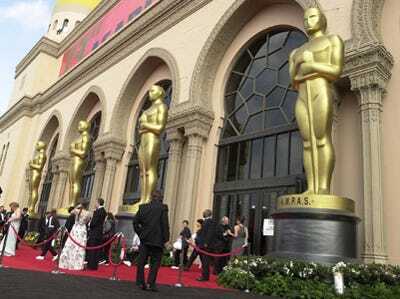 ABC’s Oscar.com is partnering with Facebook to bring online viewers “Oscar.com Live from the Red Carpet,” an Academy Awards pre-show that allows users to watch stars strut the red carpet live and even ask stars questions. Using their Facebook account, online viewers can send a message to red carpet hosts Lisa Guerrero and Brett Chukerman while they mingle with stars outside the Kodak theatre. They will pass along the “best questions and comments in real time to the stars that sashay by,” according to the site’s description. The action starts this Sunday, March 7th at 6 p.m. (EST) or 3 p.m. (PST). According to the Wall Street Journal, ABC is making some money off the web feature. Samsung is promoting the launch of its 3-D TVs on the Oscar.com home page on Sunday and sponsoring the live Facebook chat. The AP will also have a livestream of their coverage here.